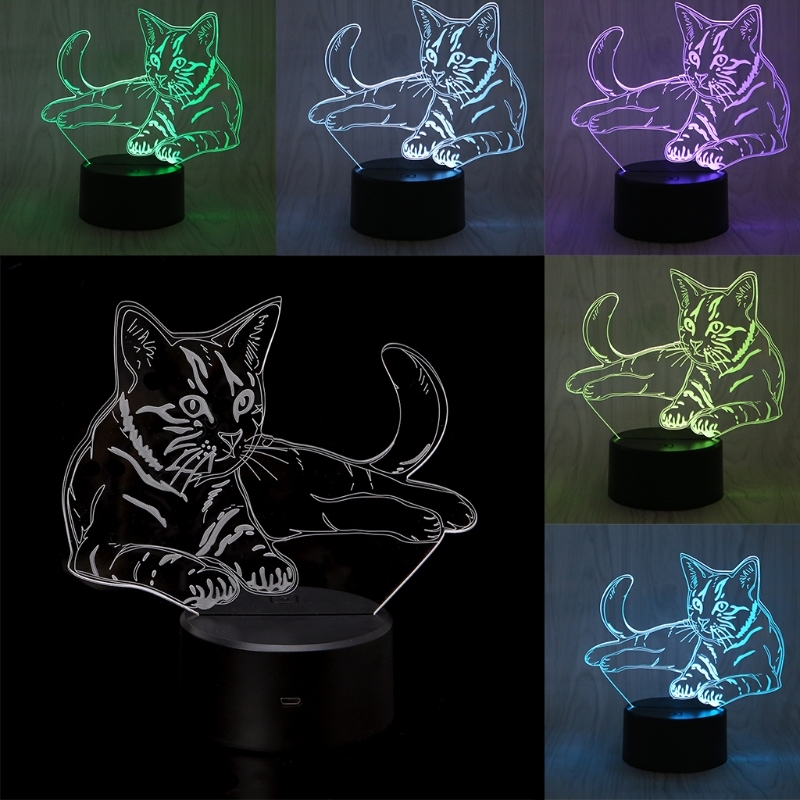 Durable: Our sturdy and extremely durable illusion night light have a 3D Space Warp acrylic panel, it makes the effect of 3D is more realistic, and resistance to fall. You can put it anywhere you want. Intelligent touch switch: Touch button to turn off, turn on and change the color visibility. Soft light: Emanate a soft light, which won't irritate your eyes but bright enough, suitable to be your night light for bedroom, living room, children's room, and so on. Creative gift: we are so sure you will like our 3d illusion lamp, and it will be a perfect gift for party, birthday, Valentine's Day, and so on, it will bring many surprise and pleasure to you and your family or your friends. If the products you receive are damaged or dislike, just contact us, and return it easily. Light Color: red, green, blue, yellow, cyan, purple, white. Light Change: red→green→blue→yellow→cyan→purple→white→all color gradual change.